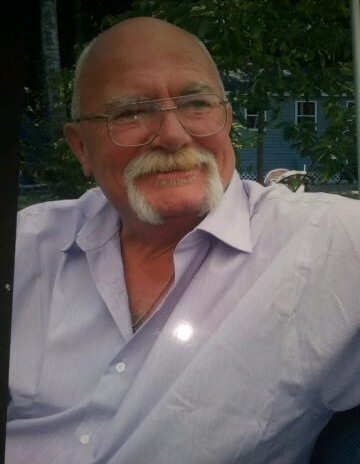 NASHUA- Steven P. Buckley, 64, died unexpectedly at his home on Sunday, July 8, 2018. He is the beloved husband of Christine (Drew) Buckley. Steven was born in Atlanta, Georgia on June 11, 1954 and was the son of Frances (Doyle) Clark of Biddeford, Maine and the late Charles E. Buckley. He was raised and received his education in the Arlington School System and he also continued his education and graduated from Arlington High School with the class of 1972. Following High School, Steven studied at Western Business College in Portland, Oregon. After graduating in 1978 he worked as a computer programmer for Baird Atomic until 1988. From there he held multiple manager positions at the Nashua Telegraph from 1989-2003 where he met his wife, Christine. Following the Nashua Telegraph, he worked for the Lowell Sun until 2011. In his free time, Steven loved gardening and made sure to attend to the garden at Keystone Hall. He also enjoyed fishing and hunting, reading, art and painting; and woodworking. He also had a deep love for animals. Steven had a wonderful sense of humor and was always a hard worker. Above all, his most cherished talking with his daughter, Christine and time was spent with his family especially his granddaughters, who will miss him dearly. In addition to his wife Christine and mother, Frances, Steven is survived by his daughter, Christine Buckley of Portland, Oregon, his two step-children, Rich Nasella and his wife Heather of Lawrence, MA and Julia Nasella of Manchester. His three adored grandchildren, Christyllis Douglas, Samantha Nasella, and Brooke Nasella; his five siblings, Edward Buckley of Lewiston, ME; Susan Maillet of Washington State; Michael Buckley of Biddeford, ME; Philip Clark and his wife Christine of Eden Prairie, MN ; Brian Clark and his wife Kimberly of Sacco, ME; as well as several nieces, nephews, and cousins. Steven’s family would like to extend a special thank you to all first responders, their neighbors, friends and families and the Anctil-Rochette & Son Funeral Home for the professionalism, kindness, compassion, and support that were shown to them throughout this difficult time. A Celebration of Steve’s life will be held at the Lafayette Club, 34 High Street, Nashua on SATURDAY, September 15th from 12 until 5 PM. All are welcome to come and honor Steve’s memory. Donations may be made in Steve’s name to the American Diabetes Association, PO Box 15829, Arlington, VA 22215.